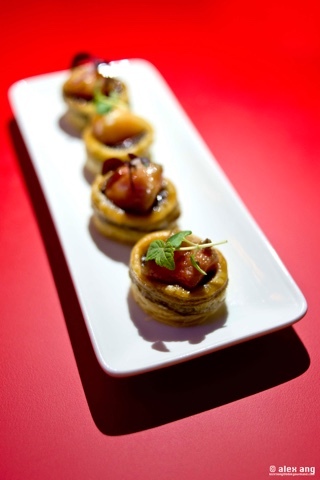 In most bars we’ve visited, food is more often an afterthought than a purposefully thought-through chef’s driven menu. Employees Only’s (“EO”) new Singapore offshoot at Amoy Street is trying to change that perception. 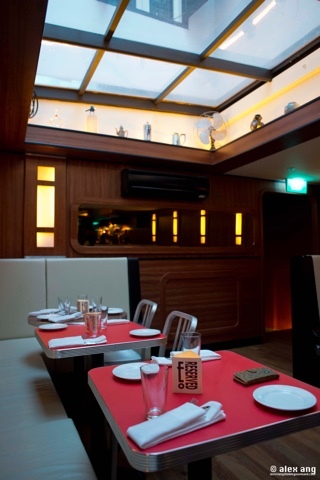 Conceived by the flagship’s executive chef and partner, Julia Jaksic, and executed by Mexican head chef, Maurice Espinoza, the menu at EO is not fancy but it offers proper, sometimes wholesome, food that are well executed instead of the usual bar-friendly fare like sliders and fries. For starters, globs of melt-in-the-mouth bone marrow (S$15) arrive on discs of pastry shell drizzled with Bordelaise sauce. Delicious one bite wonders. 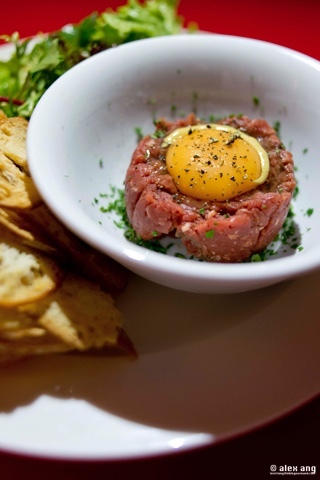 Then, hand-cut fillet mignon steak tartare (S$27) tossed with grilled tomatoes, parsley and mustard mixed at the table with an array of condiments including shallots, worcester sauce and white truffled capers. A little under-seasoned on its own but great to go with the thin crisps of crostini. The whole rainbow trout (S$38) is a standout. 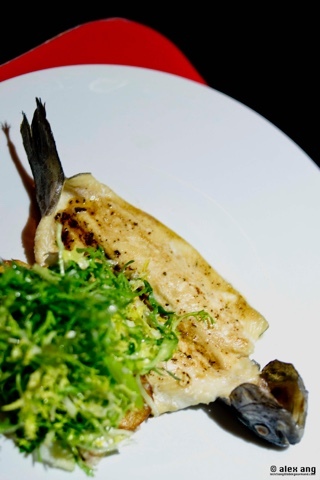 The fish is smoked, roasted, then de-boned and served with a delightful apple frisee salad dressed in shallot vinaigrette. Simple, hearty and delightful. 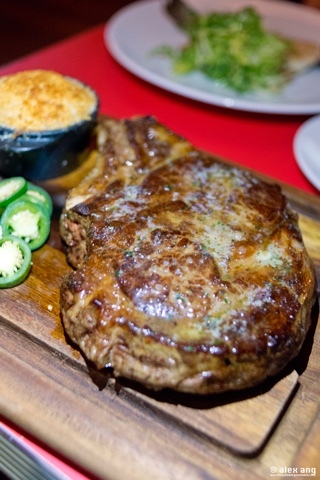 The bone-in prime ribeye steak (S$130) seared on the plancha is also first rate and does not lose out to those served at upscale steak houses here. Equally exemplary is the little tub of heart-warming potato gratin served alongside slices Jalapeno that accompanies the meat. Herbivores will adore the well-made salads here – like the heap of greens that arrives with the rainbow trout and the ribeye steak. 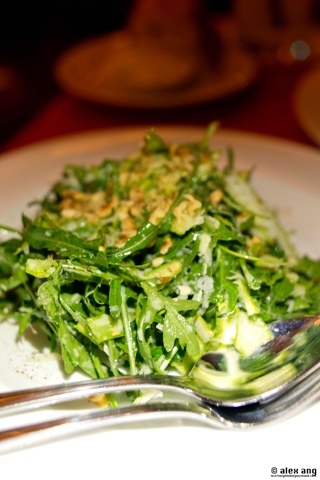 But if you wish to make a meal out of salads, order the rocket and shaved asparagus salad with Parmesan cheese and hazelnuts. It is well oiled and full on flavour, as if every single leaf of rocket as been painstakingly painted with the preserved lemon vinaigrette. Should you insist on burgers and fries, come late night and you’ll be treated to bar fare like truffled grilled cheese with Parmesan fries and dry aged burger. For night birds, that means arriving from 10.30 to 1.00am from Sundays to Thursdays or11.30pm to 2.00am on Fridays and Saturdays. Previous:Where to eat in Hong Kong and Macau right now?